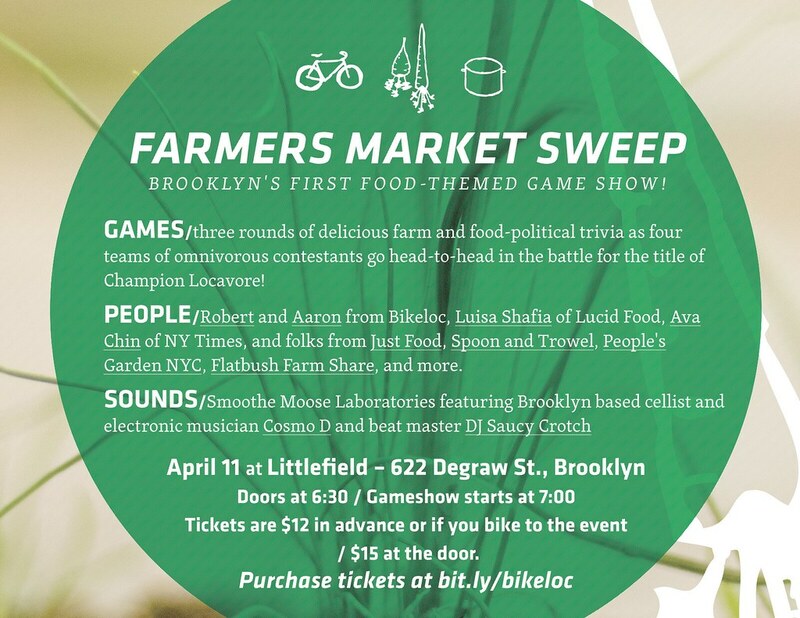 The Farmers’ Market Sweep is April 11th — come down to cheer on these contestants in a food-politics trivia! Louisa Shafia, Just Food staff, and more will go head-to-head on their food-movement know-how at this live music-filled party. (Goodness knows I would have loved to be there with everyone if that date didn’t find me in Boston for a sustainable expo, D2E. D’oh!) In any case, you can learn more about the upcoming bike tour from Aaron and Robert yourself then, and you can also VOTE now to help get it off the ground at their Pepsi Refresh fundraising page. Voting ends March 31, and their proposal will need to stay among the top ten most-voted to get funding. I’m sure you’re full of questions for these intrepid biker-foodies. So let’s hear it from Aaron and Robert themselves. Both of them chimed in for this interview via email below, which I’ve peppered with photos from some of my favorite potlucks over the years. 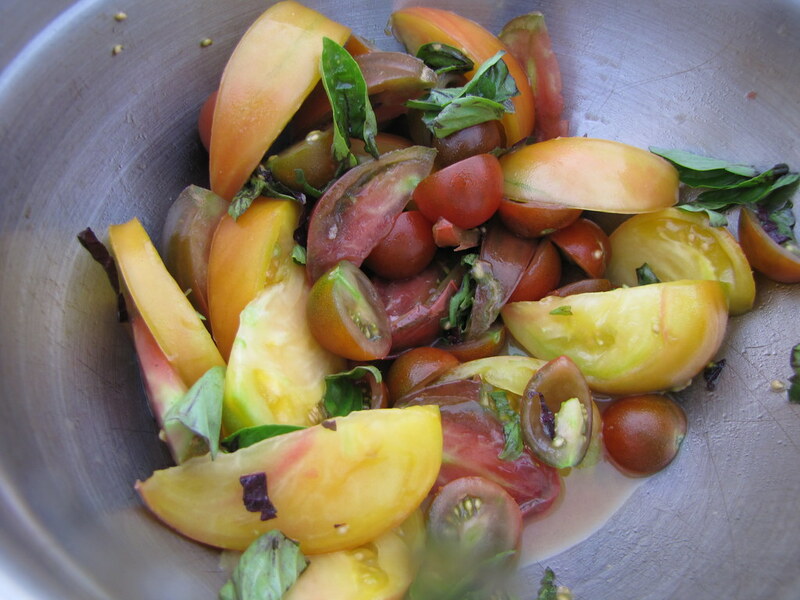 What inspired you to start spreading awareness about local food? Was there any one kicker or was it just a growing concern? Ever since reading The Omnivore’s Dilemma in 2007, we’ve been thinking a lot about the food system – a grand irony, considering at that time we were studying at a school funded by Big Ag and CAFOs in Northern Colorado. Over the last couple of years we took in a lot of information from friends, articles, films, and books, and became increasingly concerned, yet optimistic, about the current state of our food system. We wanted to do something that would encompass communities across the country, and our original plan was to create a simple book at the end of the trip. But we felt we’d have a greater impact sharing our journey online as it unfolds, using social media as a vehicle to tell the stories to thousands. How do you hope to engage people over the course of your tour? with food in hand. 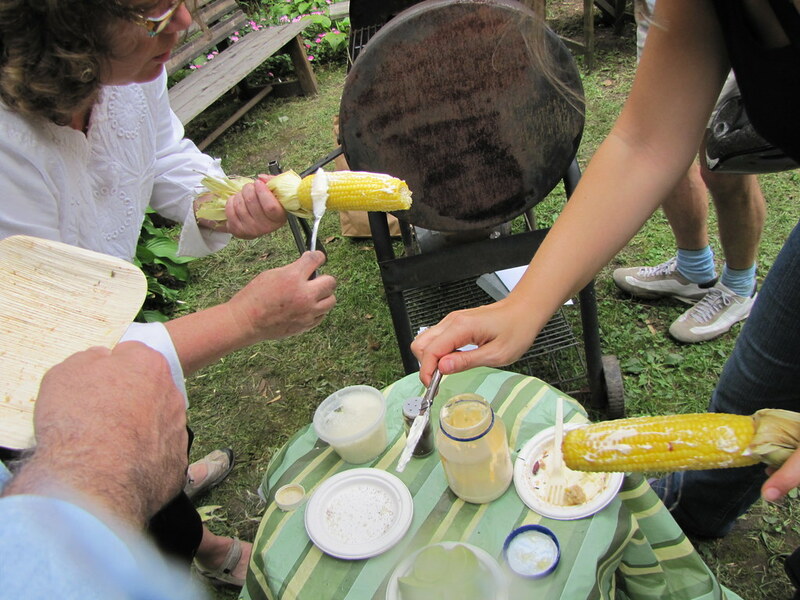 We felt that spurring discussion about local food, while sharing edibles grown and cooked in the community, would make everyone feel comfortable about sharing stories and ideas – and what better way to broach the subject of food! Our aim is not to preach, or even teach — we’re not experts — but to ask questions, listen, and document the stories we find. We’ve already put some feelers out at our respective homes, with positive results. But we can’t wait to start meeting folks. What’s the most important practice or lesson you hope people will take away from it? implications of buying locally, of supporting sustainable agriculture, no matter how much they currently know about our food system. It’s very important to us that we talk with a wide range of individuals in terms of their food knowledge and eating habits – foodies and farmers, of course, but all sorts of other Americans, too. We want someone who hadn’t thought about the implications of eating locally to start thinking about it; someone who occasionally buys locally to visit the farmers’ market more often or start a monthly dinner discussion group; someone who knows a lot about the food system but hasn’t been very active or vocal to make something happen in their community. We’ve heard of marches and walks for a cause — for disease research, social justice, etc. Do you think that your cause (the good food movement) will go down as a major concern of our generation? Without a doubt. When we began to plan this trip last year, it seemed awareness of the Local Food Movement was nowhere near what it is now – it’s phenomenal to see how much momentum this movement has gained over the past couple of years, propelled by celebrity journalists and farmers and smaller projects like ours too. We’ve seen restaurants switch to locally-sourced foods, Michelle Obama plant a garden, and just recently, Jamie Oliver talk about healthy eating at a school in West Virginia. This generation is more environmentally conscious than many before it. And it’s showing through in what we’re choosing to eat. Community gardens are popping up all over and farmer’s markets are busier than ever. We don’t think it’s a fad. Your ride reminds me of another bike ride, by three women who visited small farms around the country and documented their journey in a film, Faces From the New Farm (shown at Hungry Filmmakers I). Were you aware of that project before deciding on yours? We had no idea their film was made prior to deciding to potluck across America – but it was a nice surprise. Shortly after we learned of Women’s Garden Cycles, we found out that Robert lives near one of the filmmakers. Robert and Lara from WGC had the opportunity to exchange thoughts, ideas, and advice about the trip. That’s one of the great things about the Local Food Movement right now – there is an overwhelming sense of mutual support. We hope to meet up with the rest of their group in Nebraska this summer. Are you and Robert looking for other bikers to possibly join you along the ride? Sure! Our schedule might be tight from place to place, but we’d love to have folks join us for a stretch of the ride and share in some good local food. Aside from the twelve potlucks you’ll be throwing throughout the country, what do you think you’ll be eating on the bike tour? Wild garlic, cattails, and dandelions. 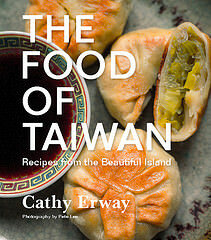 We’ve picked up a couple of books on foraging and have been talking with Ava Chin, the NY Times wild food blogger. We are excited to explore many of the foragable foods typically perceived as simple grass, weeds, or berries not typically found at the store. We wouldn’t mind happening upon a raspberry bush or fig tree, either. Yum. Aside from our wild food adventures, we’ll eat locally whenever possible, shopping at local farmers markets and roadside stands. It’s going to be tough at times, and completely unreasonable at others, but we’ll do our best. 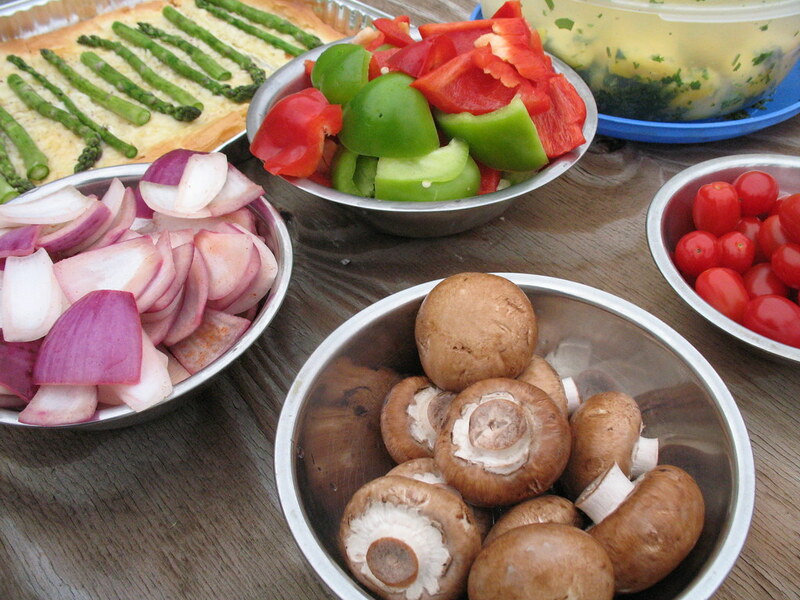 Have you always enjoyed cooking, or having potlucks? Both! We started cooking together in college, getting into the finer side of knife skills, food prep, and delicious dishes. After school, we found that a great way to meet folks and engage in good discussion was through big dinners and potlucks. The last couple of years have been filled with many potlucks of varying themes: Foods-that-start-with-the-letter-A-luck, Internationaluck, Localluck, Social-Movement-luck, Soupluck, etc. We’ve also been participating in a weekly ‘family dinner’ in Brooklyn. 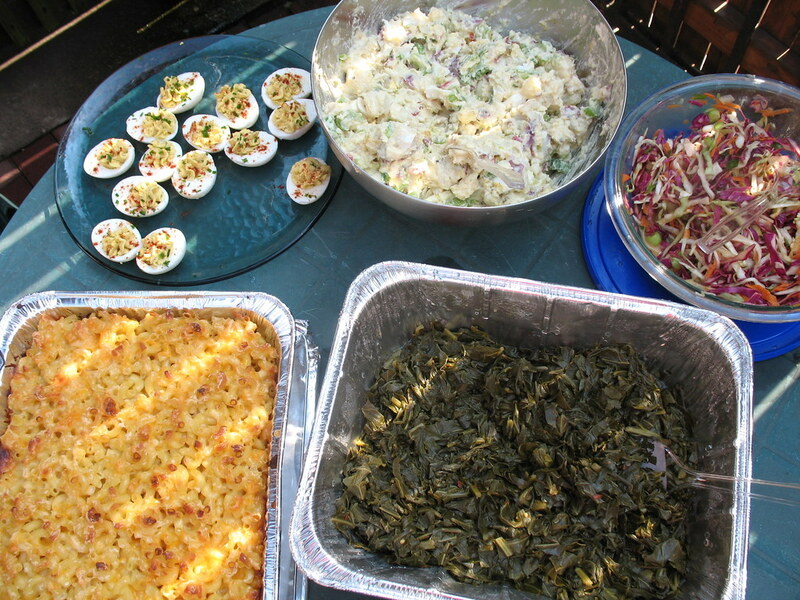 What’s on your ideal potluck spread? Feel free to describe a favorite communal feast you had in detail! We had a great Thanksgiving meal this year in DC with pumpkin pies, zesty stuffing, figgy pudding, and sweet potato casserole. But the centerpiece of the meal was the Squrkey. We wanted the meal to be local and vegetarian, so we roasted a massive turkey-shaped blue hubbard squash from Pennsylvania, stuffed it with roasted veggies from local markets and built it up like a bird. Voila — a squrkey! It was delicious. And it kept our bellies full all weekend.